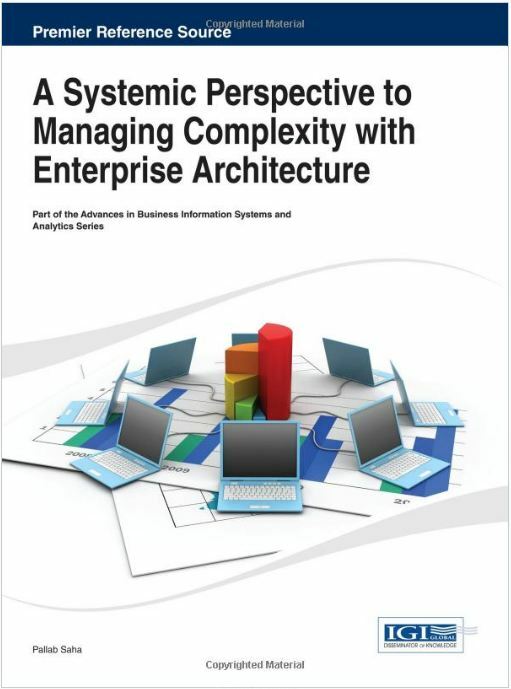 Pallab Saha’s book on systemic perspectives for managing complexity with enterprise architecture is now officially published by IGI Global. I have written Chapter 13, ‘Enterprise Architecture’s Identity Crisis: New Approaches to Complexity for a Maturing Discipline’. The 18 month process was a reminder of the creation cycle times for this type of content. It seems that social media’s immediacy has done little to escalate the pace or compress the effort of producing a traditional academic work of 26 authors. When I first started collecting thoughts and materials on what I began to understand as enterprise architecture’s ‘identity crisis’, I was reacting to my perception that IT-centric EA was increasingly facing a crisis of relevance. My experience of the unrealised promise of EA led me to think and discuss questions of theory, practice and purpose. ‘Identity crisis’ seemed an appropriate metaphor for the challenges facing enterprise architecture.